As I’ll be doing from time to time, here’s an almost bare-bones setlist for a noteworthy show, with minimal commentary. The Russ Gershon Trio played Saturday night, Jan. 14, to a good crowd, at the Third Life Gallery, despite being up against the Patriots-Titans game. Gershon on tenor, alto, soprano, flute, some piano, and a little singing; Blake Newman on bass; and Phil Neighbors on drums and also a bit of piano. 2. “Sophisticated Lady,” by Duke Ellington. Though it’s identified with Johnny Hodges’s alto solos, the version the trio listened to was, said Gershon, recorded during a period when Willie “not the Lion” Smith was in the alto chair. Nice brush work from Neighbors, and a sweet, measured cadenza from Gershon (on alto again). 3. “The Freedom Suite,” by Sonny Rollins. Gershon introduced this as “Hubris, Pt.1.” playing the Sonny Rollins extended-form masterpiece, one that, Gershon noted, Rollins played only on the original recording (1958, Riverside), never live. And, frankly, I have listened to this 20-minute piece only a few times myself, remembering mostly the two main themes -— one boppish and fleet, the other a more brawny vamp with a great “African” 6/8 with cross rhythms, beautifully played by Newman and Neighbors. And here were parts I had forgotten — including a pensive ballad section. The hubris, of course was in the roles played by the trio: “Phil Neighbors as Max Roach . . . Blake Newman as Oscar Pettiford.. and … the most unmitigated gall of all, me as Sonny Rollins [on tenor].” Gall or not, it was a terrific band playing a piece that needs to be heard more often. 4. “Morning Dew” (Grateful Dead). Here was “Hubris Pt. 1A,” the band playing an old Dead song (by Garcia and Robert Hunter?). Gershon called it “a sad song for any occasion,” but particularly appropriate for “the current political climate.” Gershon played the slow, ruminating vamp on piano, sang (affectingly), played a soprano sax solo (standing in for the Garcia part). After the final chorus, with the vamp still playing, Gershon introduced the band and segued to . . .
5. “Born in a Suitcase,” Gershon. This was for many years a nightly standard for Gershon’s Either/Orchestra. A medium-tempo 6/8 blues, Gershon moving from piano to tenor. “Ouagoudougou,” by Clifford Jordan. From Jordan’s 1972 album “In the World” (Strata-East), the song was named for the city that was the capital of what was then Upper Volta, now Burkina Faso. “One of those African countries…” Gershon began, before Neighbors cut him off with bass-drum bombs. 2. “It’s Over Before You Know It,” by Gershon. Inspired by Ornette Coleman, with the requisite folk-like simplicity and groove. Gershon began the solo section (on alto, of course) with one strong, unbroken blast of notes. Bass and drum solos. “Really cooking,” I wrote on my four-way folded 8 1/2 x 11 sheet of note paper. 3. “Meditations on Integration,” by Charles Mingus. From one of Mingus’s great 1964 Jazz Workshop bands, with, Gershon noted, “a genius in every chair”: Mingus, Eric Dolphy, Jaki Byard (“from Worcester”), Johnny Coles on trumpet. There are multiple versions of this, sometimes called “Meditations on a Pair of Wire Cutters.” Another extended composition, the counterpart to the first set’s “Freedom Suite,” but more complex compositionally, with shifting time signatures and themes, the medium-tempo opening theme played over an insistent tattoo of bass and drums. Gershon played the theme on flute, then slamming bass-register staccato chords to introduce the next section (Mingus would undoubtedly have approved). There was the secondary theme for bowed bass and flute duo, some fast walking swing with tenor. I’d love to hear other Boston bands take this on, with more horns to replicate the voicings — a perfect vehicle for the Aardvark Jazz Orchestra, I would imagine or, for that matter, the Either/Orchestra. But the Aardvarks have a big enough crew to take on Mingus’s Monterey Jazz Festival big band arrangement, where the piece was officially debuted. 4. “Theme for the Eulipions,” by Rahsaan Roland Kirk. Gershon recounted attending a concert at Carnegie Hall that went from the Alice Coltrane group, to Pharoah Sanders, and then Rahsaan. This piece is from “The Return of the 5,000-lb. Man,” released in 1976, after Rahsaan’s debilitating stroke, so that he was reduced to playing one instrument at a time — and giving Gershon a better chance at recreating the piece. There was much doubling here, Gershon playing piano behind a Newman bass solo, playing a nice, soft alto cadenza, singing a bit, reciting and singing the story-lyrics. The story was about a mythic traveler, and about disenfranchisement and disillusion and perseverance and spiritual strength. Again, very affecting. “Portrait of the Beautiful Ladies,” by Rahsaan Roland Kirk. For Billie Holiday, quoting some of the tunes she made famous, said Gershon, though I didn’t pick any out. Here was flute, with a strong backbeat but swinging beautifully, and then Gershon switching over to tenor, and getting a particularly Rahsaan-ish timbre out of it on a few phrases. The show overall was immensely satisfying, with all manner of variety — emotionally, musically, in the solos and arrangements. It’s not doing Gershon a disservice to say that he’s not a virtuoso soloist in the manner of Chris Potter or Rudresh Mahanthappa — he’s not going to mow you down with million-notes-a-second velocity. But he plays beautifully, with great musicality — as a composer and bandleader sensitive to compositional details and arrangements.. Which is why his “reductions” of pieces for bigger bands worked so well. It was a show that held the ear and the mind and body at every moment — which isn’t something I can say about some of the shows I’ve seen by flashier players and bands. “There, wasn’t that better than a football game?” asked Mark Redmond, the presenter dba Mandorla Music. “Not a word!” Gershon broke in. “No affect, nothing!” He was DVRing the game. This entry was posted in Uncategorized on January 16, 2018 by jongarelick. A few notes about Cécile McLorin Salvant at Scullers a couple of weeks ago (Friday, Oct. 2) while I can still recall more than a couple of specific details and still read my notebook scrawls. It was the first of two sold-out shows, there were selections from her last album (2013’s WomanChild), the new one (For One To Love), and even a brand new song that she said the band had played for the first time that afternoon. In the past couple of years I’ve seen McLorin Salvant as often as I’ve seen any artist in that time, and she never disappoints. In May, during her show at the New Orleans Jazz and Heritage Festival, I told my wife, “She does this as well as I’ve seen anyone do anything.” Or words to that effect. You get the idea. But, I’ll save the bloviating for some other time. For now, I’ll just try to run down the setlist, somewhat out of sequence, as quickly as possible. First up was Noel Coward’s 1932 “Mad About the Boy,” with a rubato verse introduction , then into swinging tempo, and that first great moment, with a song about a tantalizing pleasure, a desire so strong that pleasure and pain are indistinguishable. So the moment: McLorin Savant singing “In some strange way/I’m glad about the boy.” And with that word, “glad,” she tilted her head back and let the sound pour out. The arrangement, the song structure, and McLorin Salvant’s voice — those big rich vowels (“Someone to call my OWN!”) — suggested something Sarah Vaughan might have done, though I’m not sure what. And this wasn’t a singer-songwriter song — it was more like something mimicked from the Great American Songbook. Again, research please? Where’s Alec Wilder when I need him. Then another Porgy and Bess: “My Man’s Gone Now,” slow, operatic, with Diehl’s suspenseful trills. Then the new original, “The Best Thing for You Would Be Me,” which I remember as bright, swinging, and authoritative, and sounding not at all under-rehearsed (arrangement credited to Diehl). There’s more to say about McLorin Salvant’s radicalism, her feminist reclaiming of standards like “Wives and Lovers,” her reclamation of African-American history with songs like “The Savage in Me,” but that too will have to wait for another day. In her own way, she’s a cabaret singer, with tightly scripted arrangements (always played with thrilling precision). There’s none of the pyrotechnic improvisation of, say Betty Carter or the woozy drift of Cassandra Wilson. And yet, she reconfigures songs, plays them differently every time, and Diehl, bassist Paul Sikivie, and drummer Lawrence Leathers do get a chance to stretch out. But she seems driven by the storytelling drama of musical theater (she was an opera student in college for a while). Even the old vaudeville numbers are part of that theatrical imperative. No matter. 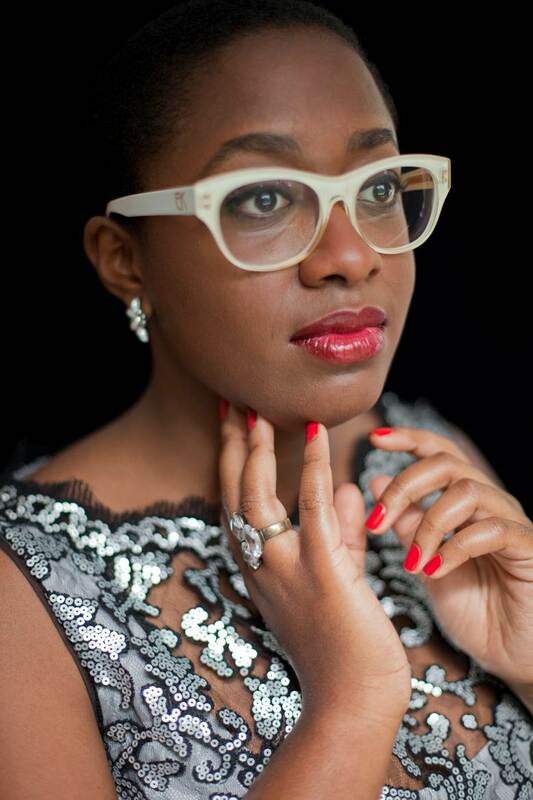 There will be time to figure out exactly who and what Cécile McLorin Salvant is. For now, just enjoy. This entry was posted in Uncategorized on October 12, 2015 by jongarelick. 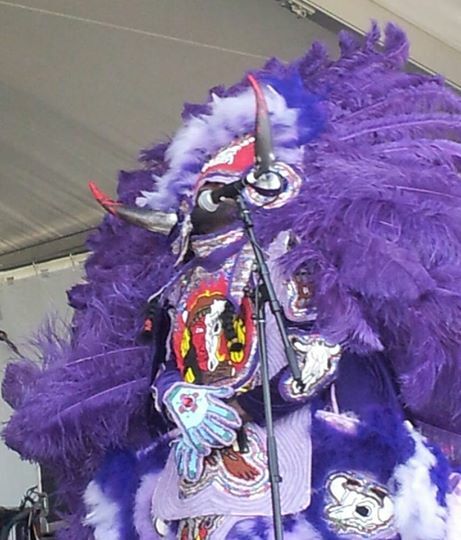 The “Wild Man” of the Young Seminole Hunters, Mardi Gras Indians. JazzFest 2014. Photo by Clea Simon. Debbie Davis — singer-songwriter with the trio the Gloryoskis! — was telling the crowd at the Lagniappe Stage about the trio’s club show that night at , at 9 p.m. “It’s a real 9,” she said. “Not a Rebirth 9… which is 11:30, as you know.” That got a good laugh from the crowd. It’s was the kind of offhand comment that visitors to the New Orleans Jazz & Heritage Festival learn to savor. On the surface, the music of the Gloryoskis! and the Rebirth Brass Band have nothing to do with each other: a trio of three white female singer songwriters and an African-American brass band straight outta the hood. But that’s the New Orleans music scene — at least as I’ve experienced it over the years: non-sectarian, a mutual appreciation society that crosses genre, class, generations, ethnicities. Of course the Gloryoskis! know about Rebirth — everyone in New Orleans knows about Rebirth. They’re famous. As is their weekly residency at the Maple Leaf. And if you make a joke about them going on late, everyone gets it. The fact is, New Orleans is both the most local and the most cosmopolitan of festivals. Today, Saturday, you had a choice between Orange Kellin’s New Orleans Deluxe Orchestra, Wayne Dopsie and the Zydeco Hellraisers, the Original Pinettes Brass Band (“the only all-female brass band in the world!”). . . . and Bruce Springsteen. All playing concurrently. And this year the international focus is Brazill — there’s a Brazil pavilion, and regular appearances by the Os Negoes of Bahia Brazil 30-piece samba crew. There is, of course, a strong French-Cajun tradition in Louisiana music, which is probably one reason the Belgian singer-songwriter Helen Gillet (one of the Gloryoskis! trio) feels so at home here, singing songs in French, accompanying herself with cello and loops. She moved here 12 years ago. The Festival — now celebrating its 45th anniversary — takes place on 11 stages (plus an interview stage, and supplemental crafts fair and innumerable food booths) at the Fair Grounds race course. The big draws for aficionados are the local acts — some of whom never tour north of Route 10, like Al “Carnival Time” Johnson or Frankie (“Sea Cruise”) Ford, or the local Mardi Gras Indians, trad jazz bands, Cajun and zydeco acts. But, of course, there are bands here of international import, like Springsteen or, last weekend, Phish. The big-name draws always threaten to tilt the festival and to turn the 50 or so other artists performing on any given day into ostensible opening acts. Springsteen certainly was the big draw today, but some veteran festival goers were not impressed. Settling in the shade of an open tent to enjoy a quick snack (crawfish bisque and trout baquet — yum!) my wife and I found a couple of dining companions (Louisiana natives) who were unequivocal. “I’m sorry, what have you done for me lately, Bruce!,” said one woman who didn’t want to hear the boss “screaming” at her for nearly three hours. Instead she was going for Al Jarreau. Well, okay. A lover man, a 60-minute man, not a 2-hour-and-45-minute man wailing about the ghost of Tom Joad. Well, tomorrow she’ll have a choice of John Fogerty, Trombone Shorty, and Arcade Fire, among dozens of others. Me, I think I’ll have to check out Bobby Lounge, the Stooges Brass Band and the Morning Star Missionary Baptist Church Mass Choir in the Gospel Tent. And, of course, Aaron Neville. Hey, maybe I’ll run into the Al Jarreau fan at that one. This entry was posted in Music Diary and tagged New Orleans Jazz & Heritage Festival on May 3, 2014 by jongarelick. 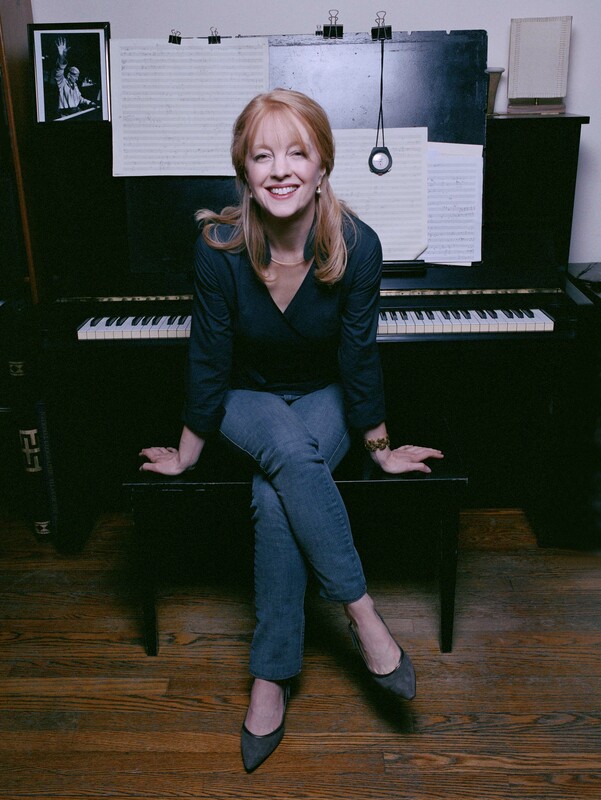 The Maria Schneider Orchestra plays the Berklee Performance Center on April 26. Photo by Jimmy and Dina Katz. Boston’s 8th annual Jazz Week celebration begins April 25 and continues through May 4. As in the past, just about everything jazz-related during these ten days becomes part of the Jazz Week calendar. But there are a number of special events being organized by Jazz Week’s sponsor, JazzBoston. The theme of Jazz Week this year is “No Walls: A Salute to the Power of Jazz To Bring People Together.” Its centerpiece will be a free concert to be held at Emmanuel Church, 15 Newbury Street, on April 30, the date proclaimed as International Jazz Day by UNESCO a little over three years ago with that theme in mind. 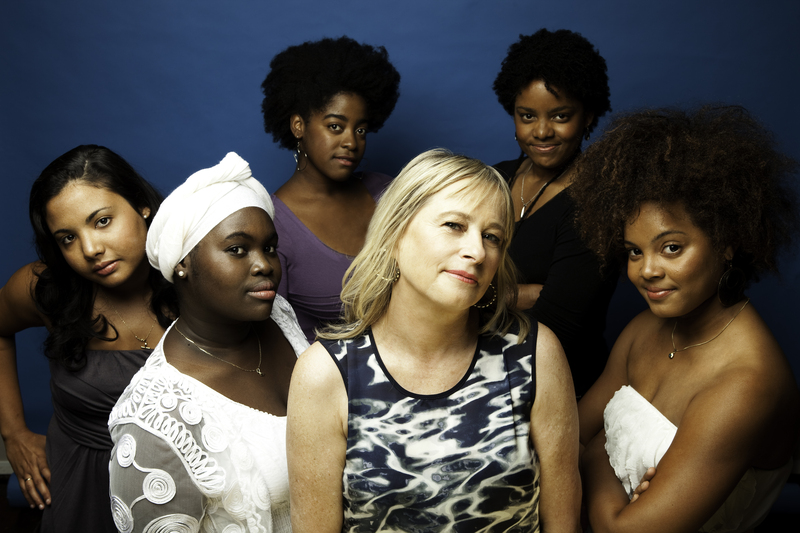 The title “No Walls” comes from an anthemic South African-style piece written by Boston composer Mark Harvey (of the Aardvark Jazz Orchestra, who are also playing this week). Players at the April 30 concert include Danilo Pérez, the Either/Orchestra, Musaner, Watchout Creole Jazz, and Zérui. The event will begin with a prelude on the steps of the church by Boston’s New Orleans-style brass band, Revolutionary Snake Ensemble. The prelude begins at 6 p.m., the indoor concert at 7 p.m.
On Sunday, April 27, at Wally’s Jazz Café on Mass. Ave., Emilio Lyons, the legendary “sax doctor” of Rayburn Music, will be honored as a Boston Jazz Hero by the Jazz Journalists Association. The event, from 3 p.m. to 6 p.m., is free and open to the public, with music and light refreshments. Jazz impresario Fred Taylor will receive the Roy Haynes Award — presented “for exceptional contributions to jazz and the jazz community” — at the club he books, Scullers, on May 4. Performers will include by Rebecca Parris, Grace Kelly, Bob Gullotti, Yoko Miwa, Amanda Carr, and others, plus, we’d imagine, some surprise guests. Tickets are $20, available through the Scullers. Other free events include daily noon concerts at South Station and other public spaces around town and, as part of a “Next Generation of Jazz” program, a high school jazz band showcase at the Boston Public Library main branch in Copley Square on April 29 from 5:30 to 8:30 p.m. For more information, go to www.jazzboston.org. Berklee College of Music, Boston, MA. 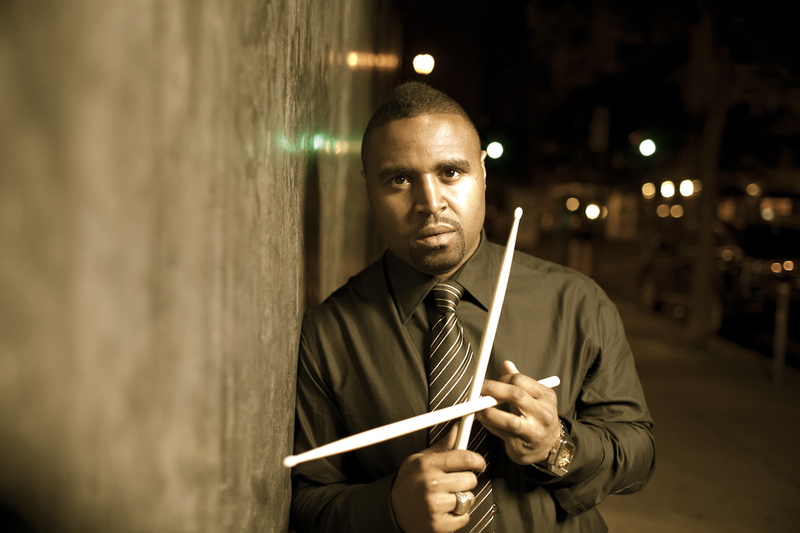 Kendrick Scott, 33, is one of a handful of drummers these days who has made hip-hop beats integral to jazz (see also Marcus Gilmore, Chris Dave, Mark Colenburg, Charles Haynes, et al.). He’s helped transform Terence Blanchard’s band over the past decade, and he also loaned his special zip to singer Gretchen Parlato. Now he comes to Scullers with his band Oracle, with saxophonist John Ellis, guitarist Mike Moreno and pianist Taylor Eigsti, and bassist Matt Penman. The Boston pianist Yoko Miwa has an equal love for Bill Evans’ harmonic lyricism and Oscar Peterson’s driving swing, and she matches her own exploratory compositions with a taste for offbeat covers like Aerosmith’s “Seasons of Wither” and the Velvet Underground’s “Who Loves the Sun.” Which she plays as a medley — and it works. She’s joined by trio mates Will Slater on bass and Scott Goulding on drums. Kresge Auditorium, M.I.T., Cambridge, MA. Boston’s esteemed avant-garde jazz orchestra presents a program of original material by bandleader Mark Harvey — “Commemoration (Boston2013),” for the Boston Marathon victims and survivors; “No Walls,” his Abudullah Ibrahim-inspired anthem (the theme of this year’s Boston Jazz Week); and “Spaceways,” his centennial tribute to Sun Ra. We know what you’re thinking: another genius Cuban pianist. But Almazan, who grew up in Miami, uses all that conservatory training and a grasp of folkloric rhythms to inform a decidedly New York-modernist frame of mind. Now living in that city, he’s joined by the exciting young bassist/composer/bandleader Linda Oh (a regular with Dave Douglas’s quintet) and drummer Henry Cole. Post-bop veterans Jeff (alto, oboe, French horn, flute) and John (bass) Clayton are joined by trumpeter Terrell Stafford, drummer Obed Calvaire, and John’s son, the rising piano star Gerald Clayton. Stephan Crump’s day job, as it were, is playing bass with the Vijay Iyer Trio, but one of his side gigs is this tidy little trio with Liberty Ellman playing acoustic guitar and Jamie Fox playing electric. If your thing is tone, texture, and three-way string-band counterpoint, this is the place to be. And yeah, they have a nice sense of swing, too. They’re celebrating the release of their third album, Thwirl. For more information on these and other jazz events as well as classical, rock, world music, film, theater, dance, and readings, check out The Arts Fuse. This entry was posted in Preview on April 22, 2014 by jongarelick.